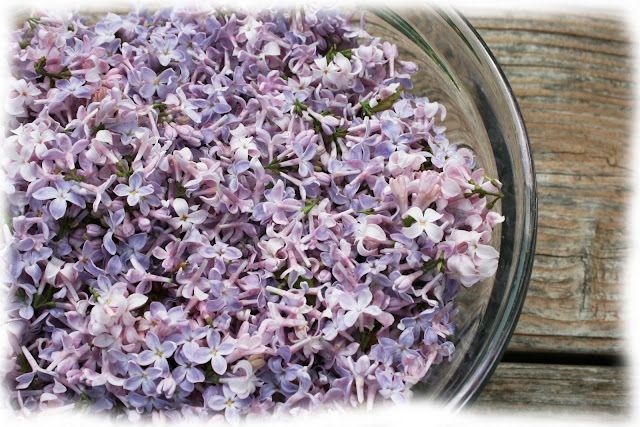 After you pick the lilac, separate the blooms from the green part and place into a glass bowl. 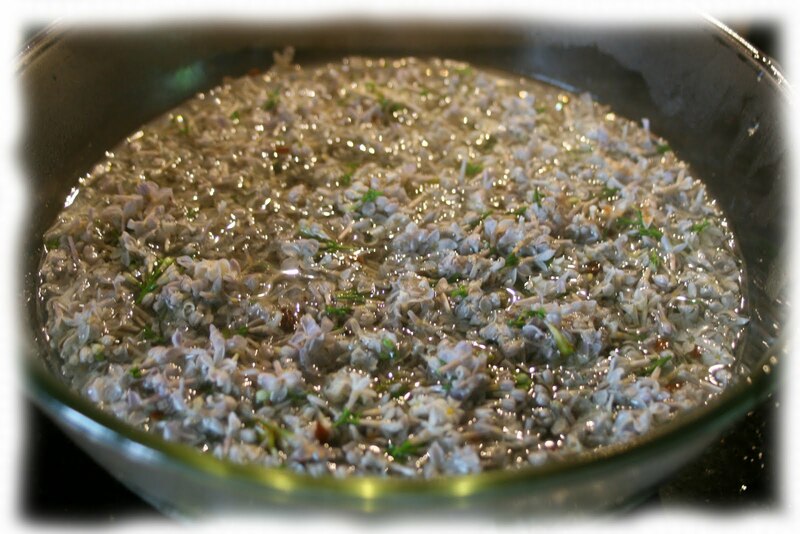 Boil the water, pour over the lilac, and cover it with lid. Let it sit for 24 hours until your lilac infusion is ready. Using colander, strain the lilac into a pot and discard the blooms. Add lemon juice and pectin and bring the mixture to boil. Look at the color! Nothing I expected! 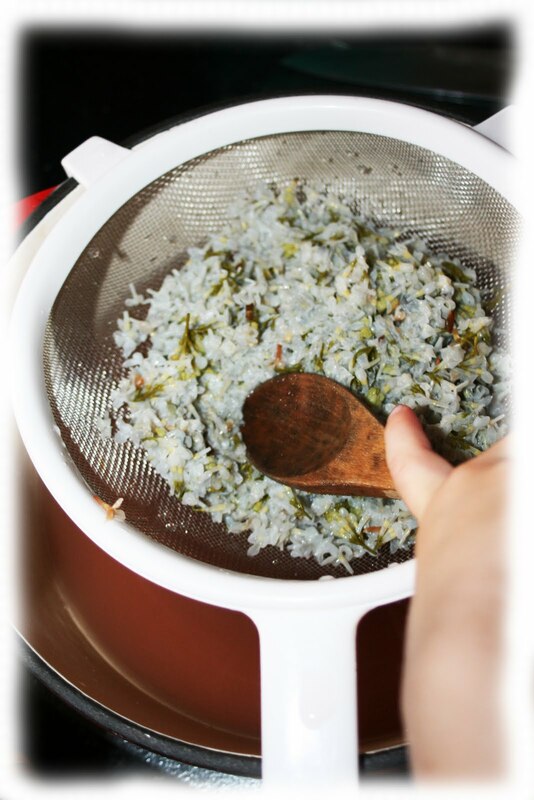 Add sugar and bring to boil. Boil for one minute. Now it's ready to be skimmed and put into jars. 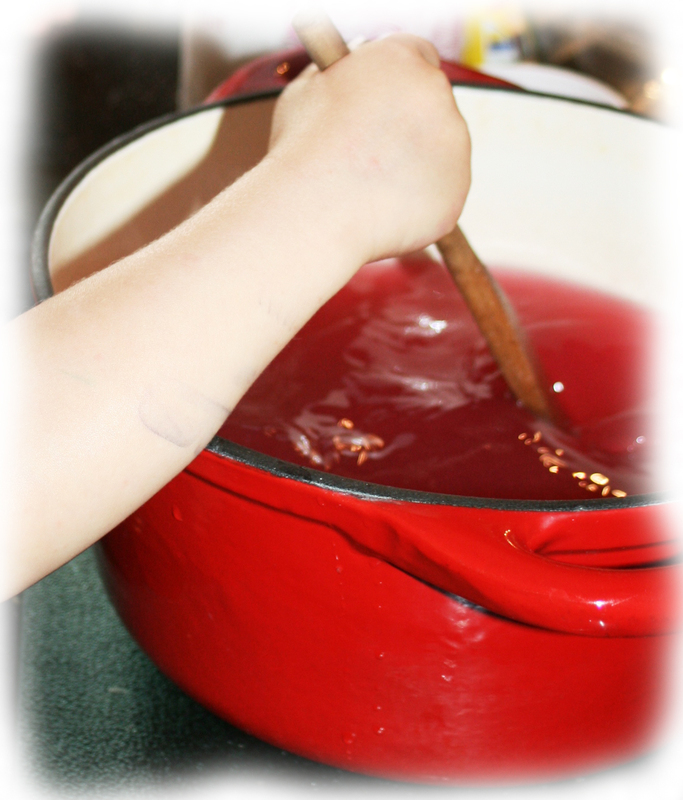 After tasting it, I thought it was on the sweeter side, so next year I will experiment with no pectin recipes. I am pretty sure that will make a difference. In the mean time, you can put less sugar... or simply put less jelly on your toast. That's what I have been doing. I really like the taste of this jelly! Thanks for the Jelly, sweet but good!!! 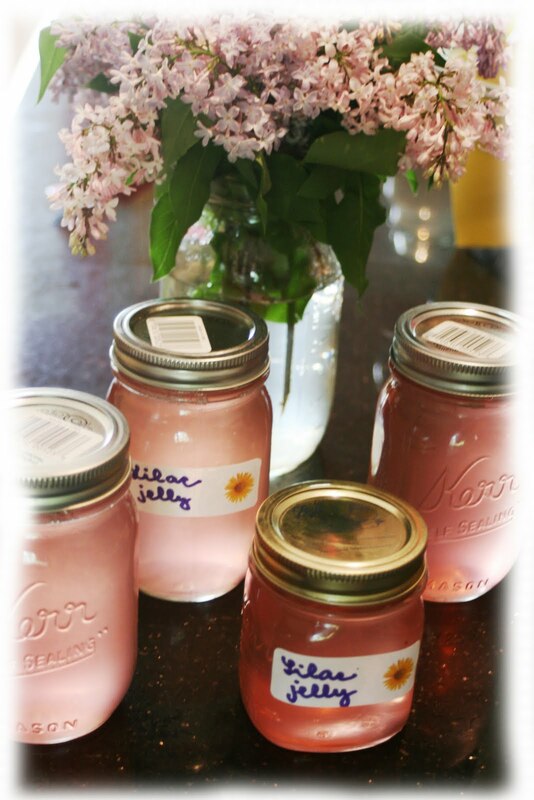 I knew you could make jelly with lilacs but never had a recipe! 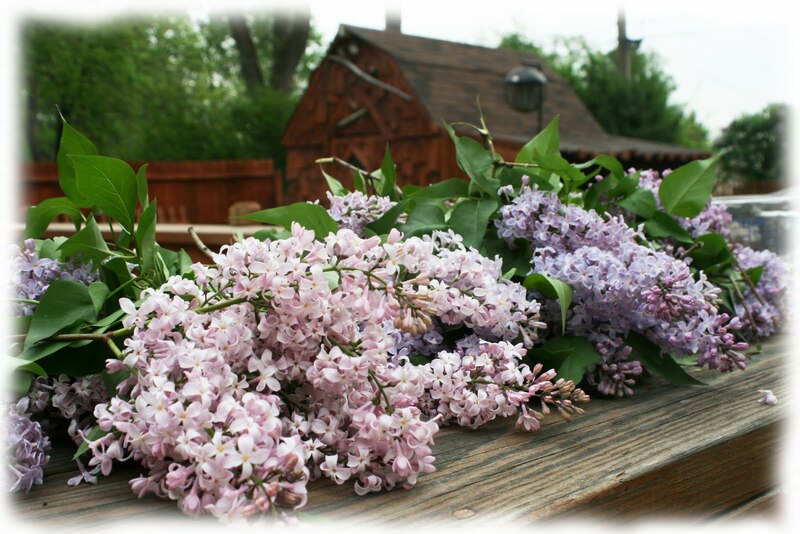 Our lilac bushes were just added last year so I am unsure if they would produce enough blossoms to do this. Will save for next year!